Marigold - Personal Blogger Template is clean, fast and easy. Blog and photo galleries, modern minimalist designs and typography, ease of use, and everything you need to be sharp with minimalism in the design philosophy. It is a topic of Minimal News, Magazines and Blog, which fits best with technology, fashion, sports, travel, personal, entertainment and news. Multiple widgets and ready! Here are the main features of this theme. This is a personal blogspot theme. is a clean, premium look and look is very easy quickly., but you can use a all type your website, adsense friendly, photography, fashion blog, OOTD , authoritative or creative or simple magazine design. All in one seo pack added already. A subject that is compatible with a computer, laptop, tablet or mobile device, or that fits your device. The subject justifies any device of the same appearance. It's a customizable that easily changes colors and background options. 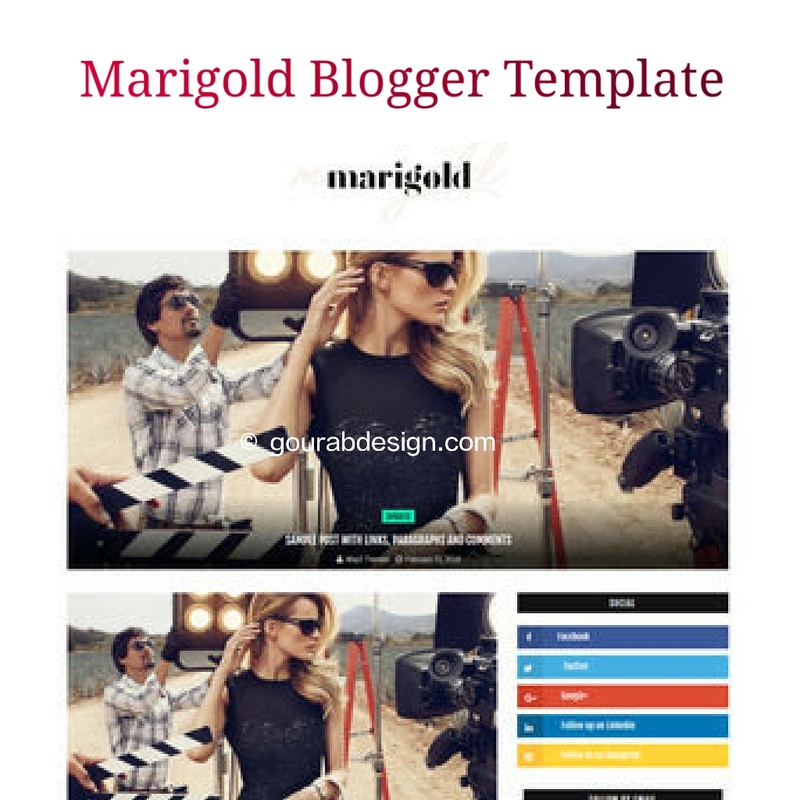 This model is designed for fashion, makeup, everyday, many other things, with many features pre-installed to enhance your blog's presence. It comes with a widget that helps you publish your content more professionally. For your convenience, we have published detailed documentation so that you can properly organize your wbsite. If you have a problem or have trouble encountering the problem, please write us your comments on our comment section. documentation and help page..